Roast turkey, cranberry sauce, sweet potatoes, and pumpkin pie can only mean one thing – Thanksgiving is almost here and the shopping season is underway! We’ve pulled some of our favorite gear from 2018 to give you a list of the best tool gifts for Christmas that will please almost everyone on your list. Whether you’re pulling together stocking stuffers or shopping for the next official saint recognized by the Pope himself, there’s something for everyone! If you use utility knives frequently, chances are you either own an OLFA knife or know someone that does. Even if you don’t, you benefit from the snap-off blade technology they designed. Everyone can make use of a utility knife whether you’re replacing car windows or opening your latest delivery. The 18 mm blade gives you more strength than a 9 mm width while being less bulky to carry than the 25 mm. Going with the LA-X design means you get a utility knife that feels good in your hand, functions great, and lasts longer than cheap throwaway versions. Everyone needs an OLFA knife in their life! Southwire’s 6-in-1 Heavy-Duty Nut Driver takes 6 drivers and puts them in 1 tool, saving you valuable space in your tool bag. More than just a heavy-duty build, Southwire includes an excellent grip design along with a hex shaft near the handle so you can use a wrench to put even more torque into the turn. For less than $20, this one is almost a steal. Electricians and HVAC Pros will go nuts over this one! Milwaukee’s new Stud Tape Measure builds on their heritage of tough tapes and moves into the next area of risk – the blade. They take the blade coating to the next level with EXO360. Where other tapes will pinch and break, the Stud gives you more life wrapped in one of the toughest overall tape measures you can buy! Every Pro and homeowner needs a tape measure – why not get them the best? With each new version of their non-contact voltage tester, Klein has added a little something extra. This time, it’s a laser pointer. The NCVT-5 still gives you dual ranges for standard and low voltage testing while the laser pointer is useful in a variety of situations. No, I’m not talking about having the cat chase it around the Christmas tree. Walkthroughs become much quicker and easier when you can just point out areas for installation or concern with your team quickly. Anyone working in the electrical, HVAC, or VDV fields can put this to use right away. My all-time favorite jeans are Dickies’ X-Series and I’m super stoked that they now offer them in carpenter pants! Dickies starts with a cotton twill and adds just 2% spandex to the fabric. That doesn’t sound like a lot, but it gives the pants a little extra softness and eases up moving and bending without sacrificing durability. Whether you’re in the shop or in the field, they’re a comfortable way to go. Every Pro needs pants, these are a great option if they like the carpenter style. It’s one thing when you’re working on top of a bench and can keep all those screws organized and in reach. It’s completely different when you’re working in the field, under a car, or in some awkward crawl space. For those times, the Klein Tradesman Pro Magnetic Wristband helps you keep those fasteners close by and secure. You’ll spend less time looking for dropped screws on the floor and more time being productive! Anyone from HVAC and electrical to automotive and even hobbyists can find a use for this! Klean Kanteen Insulated Wide Tumbler 16 oz. Kleen Kanteen’s Insulated Wide Tumbler gives you up to 10 hours of heat or 30 hours of ice retention. That makes it a great tumbler to have on hand all year long. The 16-ounce capacity is perfect for holding two cups of coffee and giving you a fighting chance to make through the morning completely alert. If that’s not enough, it’s backed by Kleen Kanteen’s Strong as Steel lifetime guarantee. 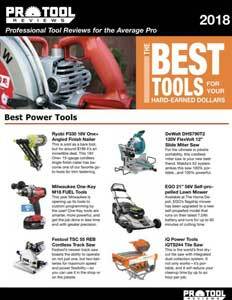 This makes a great gift for everyone from the tradesman to the outdoor enthusiast. Is there anything more comfortable than flannel in the cooler months? We don’t think so and Dickies’ Icon Flannel Shirt uses a 4.4-ounce, 100% cotton material. The soft, brushed finish makes this one of the most comfortable mid-weight flannels you’ll reach for. Layer this with a Dickies Temp IQ shirt for ultimate comfort! Pick this up for anyone that loves flannel shirts – even if it’s for your husband in the hopes that he’ll let you wear it! I clearly remember the day TSA took my tube of toothpaste on my way to Baltimore for a media event, not that I’m bitter or anything. Coming in right at 3 ounces, the Matador FlatPak will let you take anything from toothpaste to hand sanitizer through TSA without incident. Even if you’re just looking to travel with a more minimalist mindset, these welded Cordura bottles are up to 5 times lighter and 3.5 times more compact than those silica options out there. They’re waterproof, have a large opening, and include a snap loop with a tab for you to write the contents on. Grab a couple sets of FlatPaks for any outdoor enthusiast or the Pro that travels. The Truss is Gerber’s latest tradesman-focused multi-tool. The handle looks a bit different from most and the focus is on reducing some of the weight for Pros that carry a multi-tool every day. At 8.4 ounces, it’s more than a full ounce lighter than the Center Drive and still gives you 17 different tools to work with. Who doesn’t love a good multi-tool? Get this for anyone and everyone on your list! Thermacell is well-known for its ability to give you a zone of bug-free protection when you’re enjoying the outdoors. When it’s time to travel, it’s a little bulky and TSA really doesn’t like you carrying those butane cartridges around on an airplane. The new Thermacell Radius tackles both issues. With a much smaller footprint, you can store the system in your backpack with very little space penalty. Since the repellent activates via battery power, there’s no butane and ignition to worry about. Just make sure the internal lithium-ion battery is charged and enjoy up to 6 hours of freedom from what bugs you with the push of a button. If the Pro you’re buying for enjoys the outdoors, the Thermacell Radius is a gift they’ll thank you for every time they use it. While tools manufacturers are getting on board with some quality lighting options, the outdoor industry has been rocking this category for years. The Black Diamond Storm Headlamp gives you 350 lumens and switches between spot and proximity modes depending on if you need close up light or need to see what’s further away from you. You adjust brightness by just tapping the side of the lamp. If you’re using it for outdoor activity, you can also use red, green, or blue light. With an IP67 rating, it’s ready for the jobsite and inclement weather. All that and they manage to keep it under $50. Headlamps are really useful for plumbers and electricians, but really, any Pro is going to be in a situation where it’s useful to have one. The Storm is one of the most feature-rich headlamps we’ve seen anywhere near this price point, so don’t think twice about snagging this one.